Today’s guest is my friend Carrie and you can find her blogging at Carrie’s Experimental Kitchen as she shares her recipe for Portobello Mushroom Risotto. 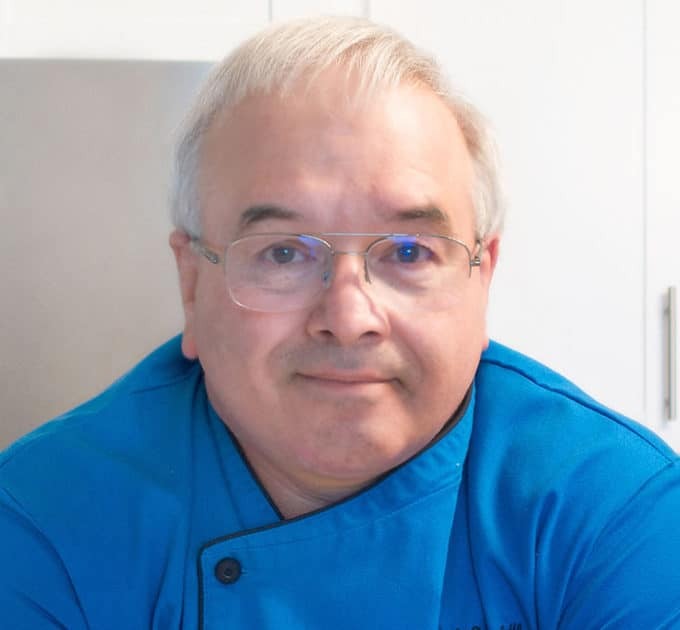 Hello everyone and thank you for allowing me to share a little piece of myself here at A Culinary Journey with Chef Dennis, it truly is an honor! 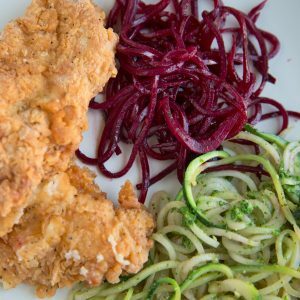 My name is Carrie Palladino Farias and I am the home chef and photographer behind Carrie’s Experimental Kitchen. 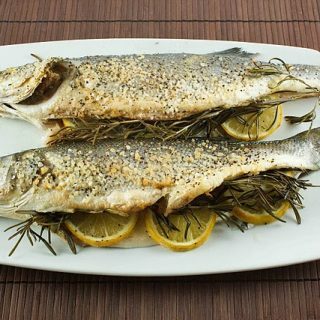 I am a wife and mother of two girls living in Northwestern New Jersey along with my most recent title as Author to my first cookbook Carrie’s Experimental Kitchen: A Collection of Mediterranean Inspired Family Meals. 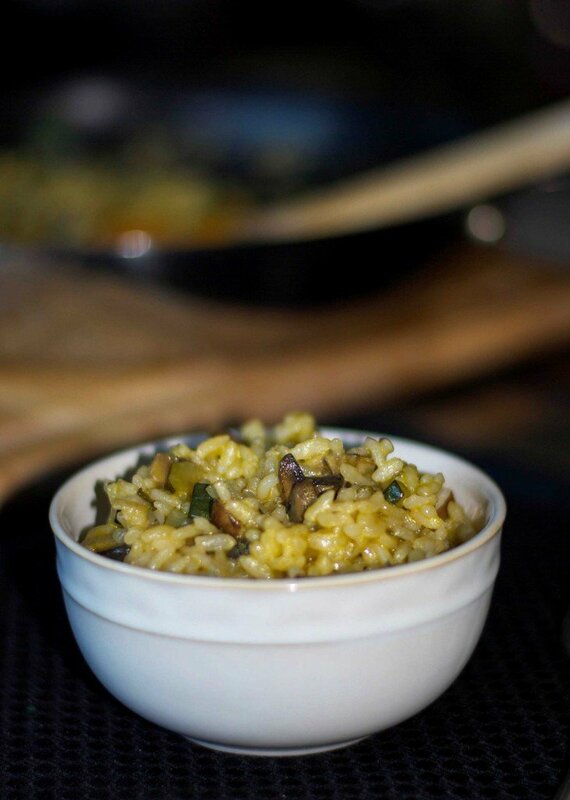 Today, I’m going to share with you my recipe for Portobello Mushroom, Zucchini and Sage Risotto. 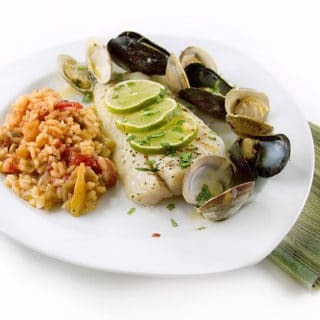 Risotto is a slow-cooked rice dish that is cooked in a broth or liquid until it’s creamy and is one of the most common ways to prepare rice in Italy. It is a popular dish on its own as a stand-alone meal or makes a wonderful accompaniment to your main meal as a side dish; which is generally how I serve mine. 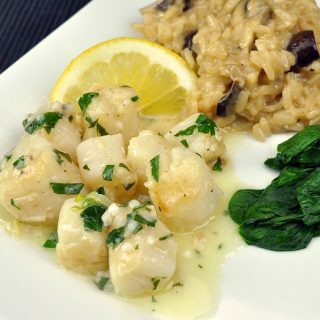 This risotto is deliciously creamy, not overly rich and contains many of my favorite flavors all in one dish. I hope you like it as much as my family and I did. Enjoy! Add oil to a large nonstick sauté pan and add your chopped zucchini, mushrooms, shallots, cloves and sage. Sauté over medium heat for approximately 2-3 minutes or until the vegetables start to sweat and release moisture; then add the rice. Reduce heat to low and stir for another 1-2 minutes; then add in the wine. When the wine has evaporated, add in 1 cup of the vegetable broth. Allow the liquid to evaporate; then add the remaining broth 1 cup at a time, allowing the liquid to evaporate after each addition. When the last cup of liquid has almost evaporated, stir in the butter; mix well. Makes 5-1/2 cup servings. Delicious! Rice is one of my favourite things to include in my cooking and whats better than a risotto? 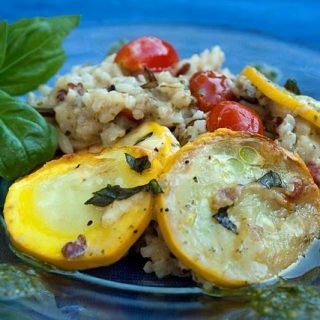 A good risotto is always a great meal, and I love the flavors in this one! And the pics. Wonderful guest post! Thank you Paula, I’m so glad you enjoyed the post. How you two busy people found time to put together a great guest post, I surely don’t know — but I’m so glad you did. Hang in there Dennis — and thank you, Carrie! I like that your risotto is vegetable stock based… sounds delish! I love mushrooms in just about anything! Thanks for commenting. Thank you once again for allowing me to be a guest here today and I do hope this cold, dreary northeast weather ends shortly, it’s very depressing. 🙂 Enjoy your weekend! 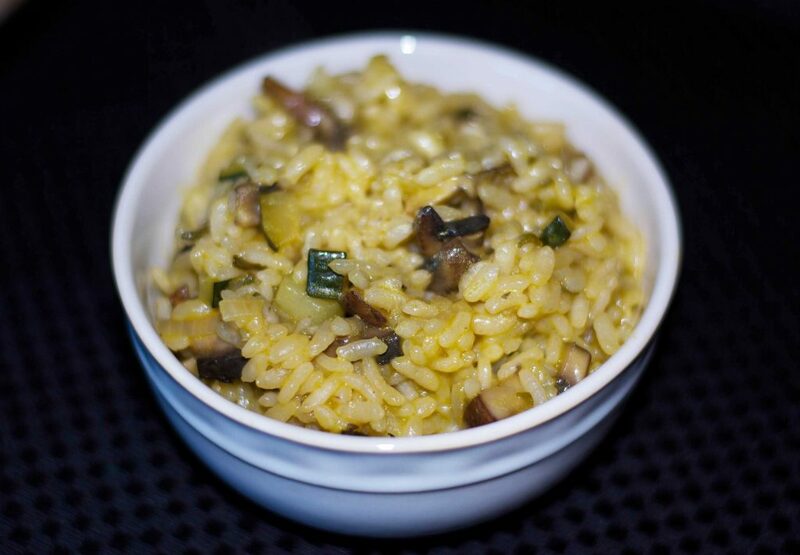 Rice is my favorite always, I didn’t tried risotto for long time.This one is really tempting as it has zucchini and mushroom . Great post Chef Dennis and carrie. I’m so glad you like it Swathi, thanks for stopping by to let me know. I haven’t made risotto in far too long. 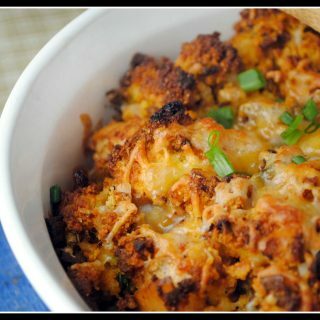 The mushrooms, sage, and zucchini sound like a wonderful combination here! They were Erin! Thanks for stopping by.